Planning on visiting soon with my family and almost adult children. They are interested in the culture and history of the island also the food vegetarian included. What places would you suggest we visit when we get there? It would be helpful to get the name of these places and where they are located. I thought it would be safe to get a personal driver with whom I am acquainted. 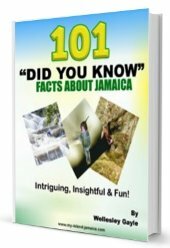 I captured a long list of great attractions in Jamaica on this page, but Chapter 11 of the Jamaica Insider Guide highlights some of the most intriguing places in Jamaica to visit for history and culture -listed by parish. Regarding a dependable driver; absolutely, I agree! 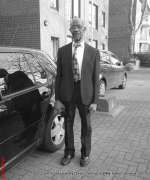 One of the persons I always recommend is Chester, he does a great job with his guests. And the food, there is a little place I learned about recently called Zimabali's Retreats, you may want to check them out here. 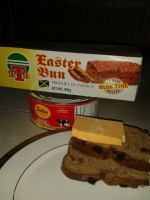 Thanks again for choosing Jamaica Faith! P.S. I invite our ardent fans to share their feedback here, so stay close to this link to see the comments it gets. Please add "Blue Hole Secret Falls" in St. Ann. It's a beautiful place that I didn't know existed. Thanks for sharing this significant article. Jamaica is a wonderful place and I see it as a tropical paradise. Quite a comprehensive list. Supporting the suggestion to add the Parish Churches to the list. St Andrew- Craighton Coffee Estate, Roman Catholic Cathedral, Jewish Synagogue, National Heroes Park & Liberty Hall. In St Catherine add the Emancipation Sq. Anglican cathedral & Phillipo Baptist. In Trelawny: remove Outameni-it is not in operation. Portland: add Moore Town Maroon community. Please add Milk River Bath in Clarendon. I have been there several times. Also, The Parish Churches and Court Houses in all parishes. The architecture makes for great backgrounds in pictures. Are you aware that the very first Jewish Synagogue in the Western World was in Jamaica? It was established by the Sephardic Jews who went to Jamaica from Spain in 1492 and 1493 with no other but Christopher Columbus whose real name was Christobal Colon --that coined the word "colony". I believe the first one burned down but was rebuilt. There should be a history book in the library with all this. However, if you cannot find the details, I can send you some from a book that I have which includes pictures. At this time in Jamaica's history many Sephardic Jews (Sephardim) were escaping the Spanish Inquisition when they sailed to the "New World" with Columbus. Many settled there. The name "Pacheco" went down in history because Columbus spent his last days with the "Pacheco" family who were still in Spain when he was let out of jail. "Pacheco" became one of the household names in ancient Jamaica. One Pacheco married a Palomino and they were known for the tobacco and pigeon trades. Later, because of their bitterness towards the Spanish Inquisition these Sephardic Jews were instrumental in helping England (Horatio Nelson) to capture Jamaica from Spain, and Jamaica became a colony of England until 1962 when she got her independence. These facts are of interest locally and internationally and can be found in history books. If you want, I can send you a blurb from history books that I still have in my possession from the university here. All the best to you--long live Jamaica. Thanks for the information. Yes, I'd appreciate you sharing that information with us. Please contact me directly. 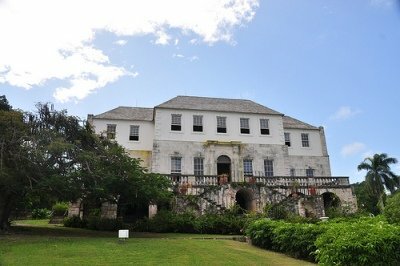 Here are two sites that should be on the short list of historical sites : Spanish Town and Falmouth.